PP Bud provided the following report of events during his administration. 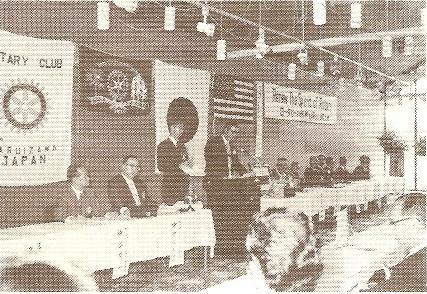 Our first club assembly for the year was held on July 16, 1974. At this assembly we established as basic goals: improved attendance, increased membership, correct classifications, and monetary stability. Some modest success was achieved in all areas. Besides myself, V.P. Hugh Barton, P.P. Jim Underwood, Rtn. 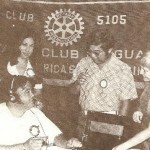 Herb Dumont and “Mac” McAlister traveled to Karuizawa, Japan to participate in and celebrate the 10th anniversary of the Rotary Club of Karuizawa charter in September, 1974. 2. 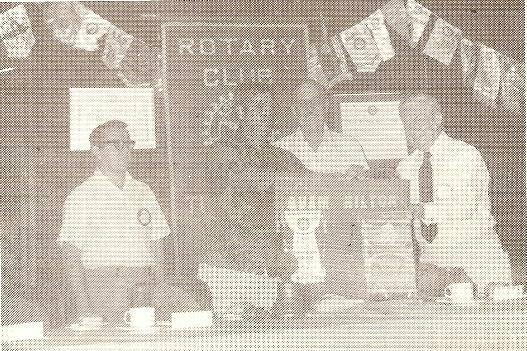 In December 1974, we were honored by a visit form the Rotary club International General Secretary, Mr. Harry Stewart and his wife Gladys. He was the guest speaker at a joint meeting with the Tumon Bay Rotary Club and both clubs participated in the hospitality efforts. 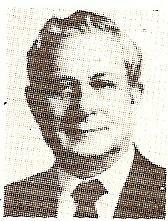 Early 1975 saw the initial beginnings of the Junior Achievement Program which was sponsored by our club. The Prime mover behind this project was Rtn. (now P.P) Al Pickens. This program is now eminently successful and self-sustaining. 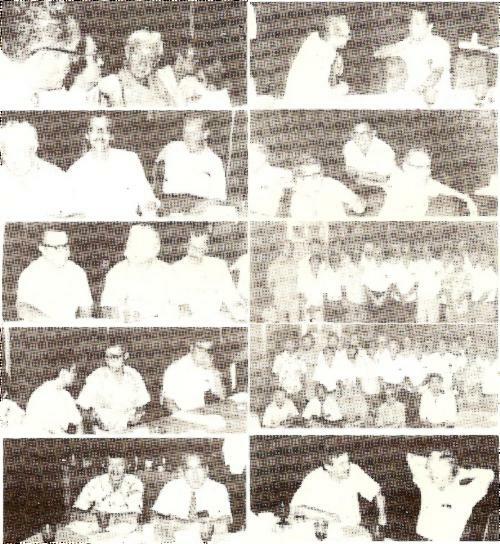 In February 1975 we were visited by the District 358 Governor, Senju Satoh and participated in the Group II Forum in Saipan. This was our second Group Forum but our first off-island. A picture of Governor Satoh and other attendees in enclosed. March saw a continuation of our Sister-Club Program. Four high School students from Karuizawa were hosted from the 14th to the 29th of March. Twelve Karuizawa Rotarians and members of their families, led by President Minoru Nakasato arrived on the 25th and participated in our meeting and festivities highlighted by a golf tournament, which was won by the president of the Rotary Club of Guam, naturally! 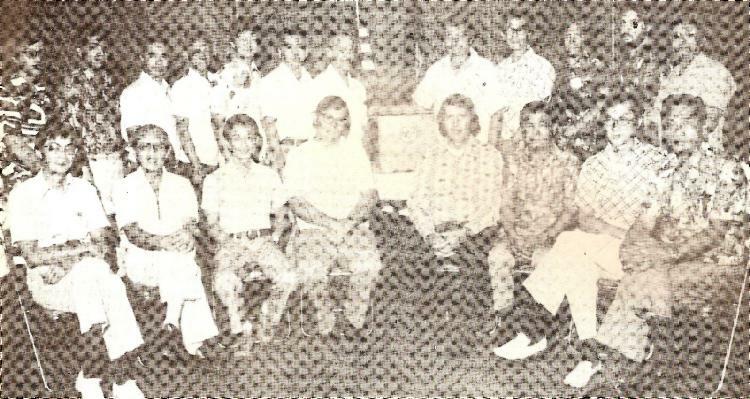 In June 1975, we sent eight students from Guam to Karuizawa under the Sister-Club exchange program and our Rotarian delegation consisted of P.P. 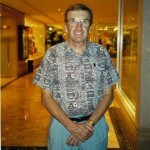 Jim Underwood, P.P. 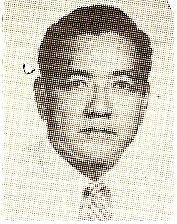 George Tamura, Rtn. Richie Cehon and Steve Conlon and Rtn. (now P.P) Al Pickens. 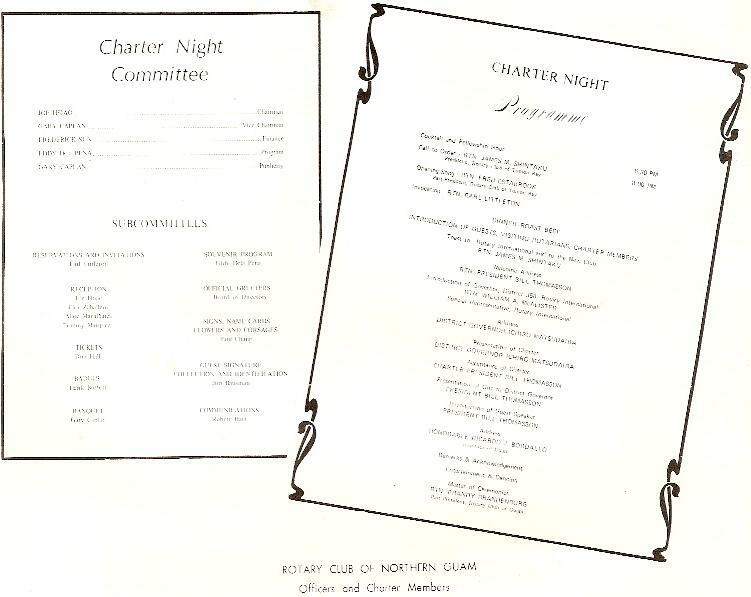 During the year 1974-75 the Rotary Club of Guam awarded scholarships totaling $2,750 to six qualified university level students. 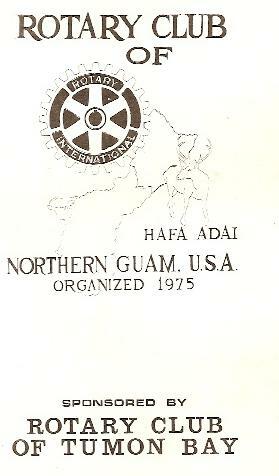 In addition to the events listed by PP Bud, the Guam Typhooner reports that on April 12, 1975, five young men from California visited Guam as participants of a special Rotary Foundation Program entitled: “The Group Study Exchange Program”. 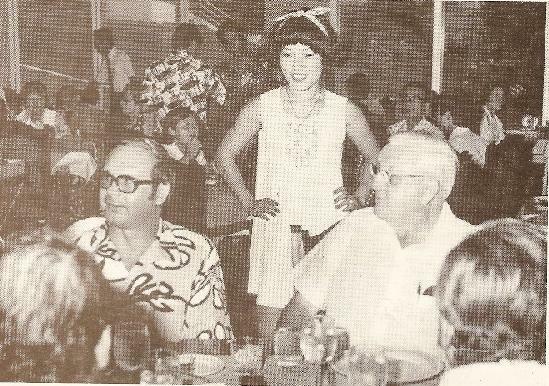 One of the most important events during PP Bud’s Rotary year was the conception of the idea of a new club to cover the Northern Guam area. On February 8, 1975, while attending the Group II Inter-city General Forum at the Cliff Hotel, District Governor Senju Satoh and Rtn. Kyozo Yuaza inquired about the possibility of establishing a new club in Guam. Rtn. 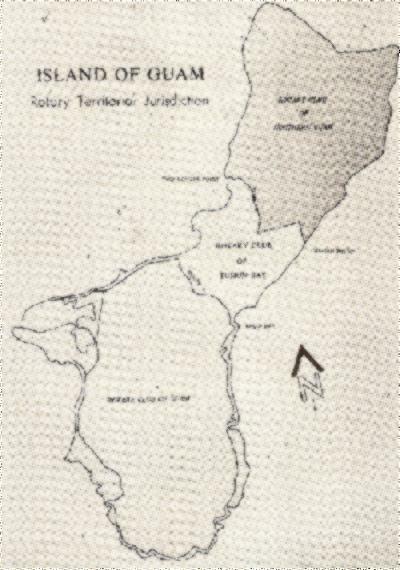 William A. McAlister, the Group II Representative, suggested that the Dededo-Yigo area might be feasible. There weeks later, Rtn. Paul Bernholdt, Head of the Eastern Hemisphere Department, Rotary International, through a letter dated February 20, 1975, confirmed the appointment of Rtn. McAlister by the District Governor as Special Representative of Rotary International for the formation of a new Rotary Club in northeastern Guam. McAlister, Special Representative, together with Rtns. Jimmy Shintaku and Fred Estabrook, President and Secretary of the rotary Club of Tumon Bay, respectively, Rtns. Mel Muranaka, Ralph Palmieri, James McDonough, Charlie Hale, Bob Barry, Group II Representative, District 358, R. I. and Stanley Rice. 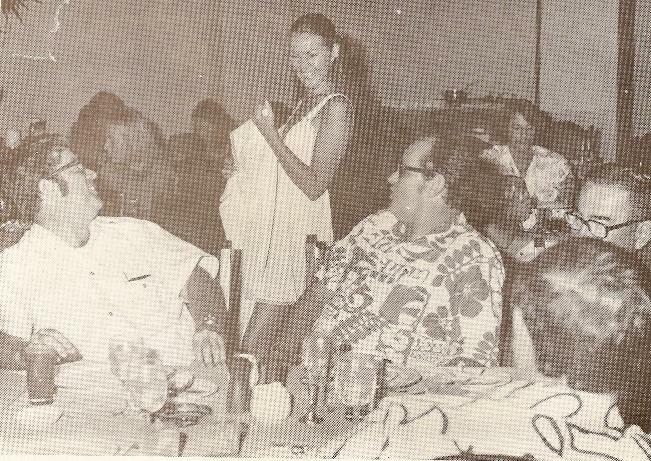 Several meetings were held at the Tower of Pizza wherein the committee of organizers guided, nurtured and interviewed prospective charter members, until finally an organizational meeting was held on September 17, 1975 at the Guam Hilton Hotel. At the historical meeting, the name of the club, the Rotary Club of Northern Guam, was unanimously approved. The constitution and by-laws of the new club were adopted and the officers and directors were elected. 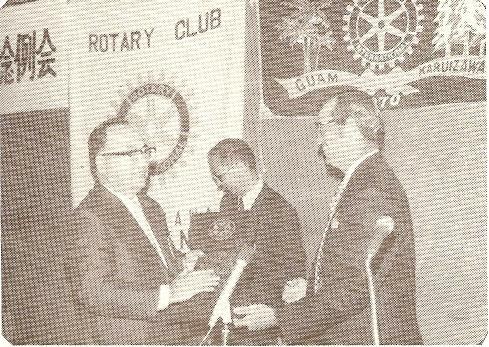 On November 12, 1975, Rotary International advised by cable that the Rotary Club of Northern Guam has been approved. 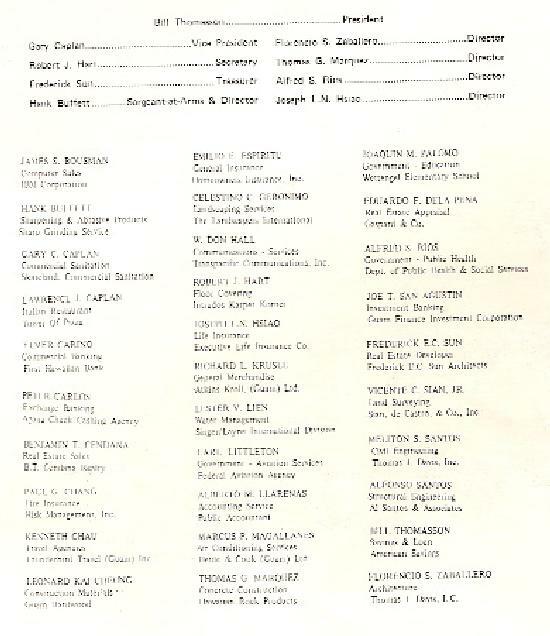 Thus, on this date, the 31 charter members were officially recognized and registered in the illustrious roster of the World Fellowship of Rotary. Heartiest congratulations to the new-born Club from all of your Fellow Rotarians in the District 358. We welcome you as the first Club to be newly established during the year 1975-1976, and wish you every success in the years and the decades ahead. On this historic occasion I would like to extend my congratulations to the Charter Members of the Rotary Club of Northern Guam. I consider it a privilege and an honor to serve as your Charter President. At the Northern area of Guam continues to take on greater importance as a population and business center, the expansion and business center, the expansion of Rotary signifies a recognition of this growth. There is no doubt that the makeup of our Charter Membership will result in a solid contribution to the area in which we serve. On behalf of the members of the Rotary Club of Tumon Bay, I extend sincere greetings and welcome you into the Rotary fold. We are particularly proud of having been accorded the privilege to assist in the creation of your new club. Through you active participation, the ideals and fellowship of Rotary International will be further enhanced on Guam. We wish you well, and are looking forward to a close inter club relationship. Congratulations and welcome into the family and the world of Rotary! Notwithstanding the international appeal of Rotary, it is the individual Rotarian, through the individual club, who provides the spirit and strength which has made the appeal of Rotary universal in those countries recognizing the dignity and importance of the individual human being. Through the principle of ‘Service Above Self”, each and everyone of you will bring to your community a new understanding of each other’s problems and by solving them will help your community strong and prosperous to that in turn it may also assist others. 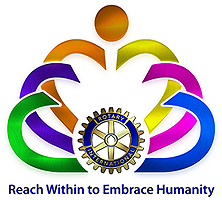 It is particularly gratifying to note that each and every member of the Rotary Club of Northern Guam is new to the experience of Rotary but like a new young plant you will grow, and in so doing, extend the many benefits of Rotary ideals to each other, your community, your island, and the world. It has been my great pleasure to assist you in the creation of this new club and from the bottom of my heart I wish you every success in this important undertaking, for through the development of friendship and understanding, there is hope for true and lasting peace in this world.